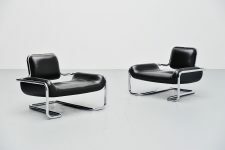 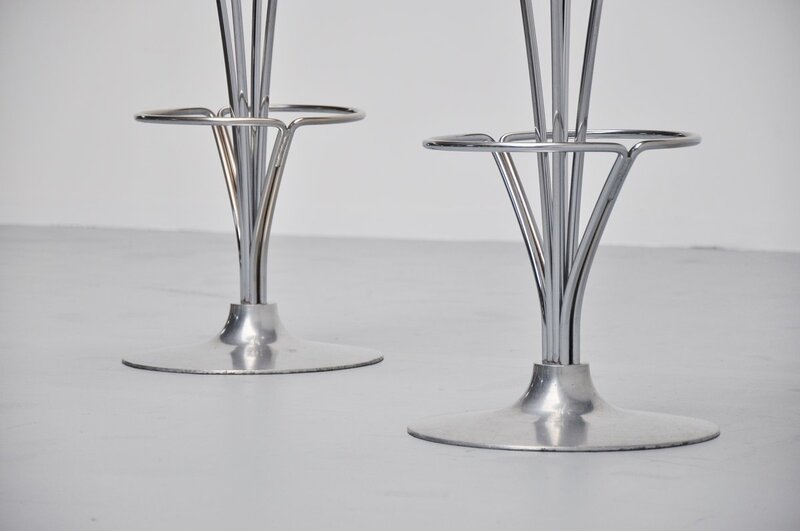 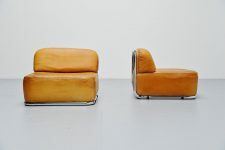 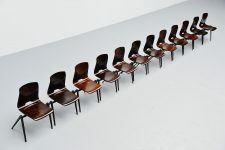 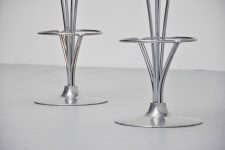 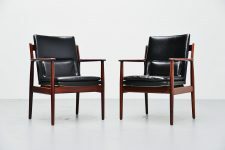 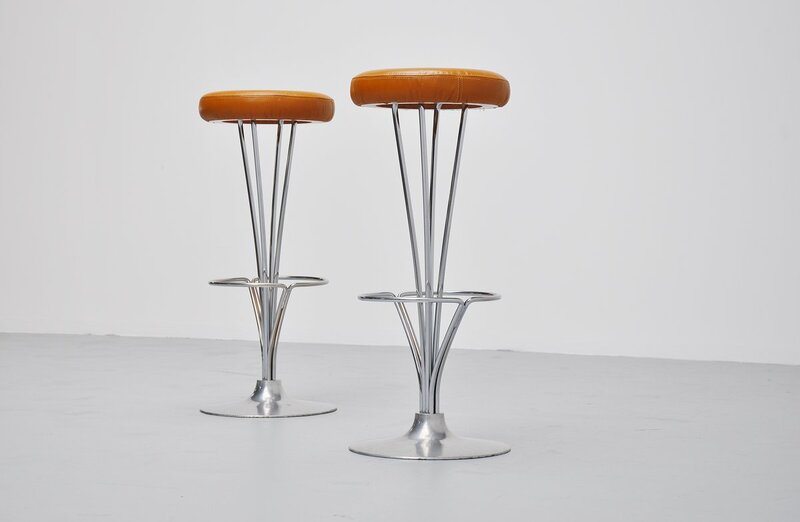 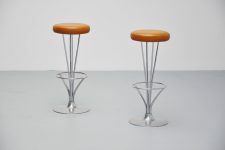 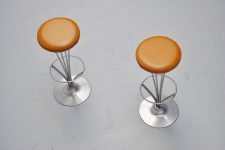 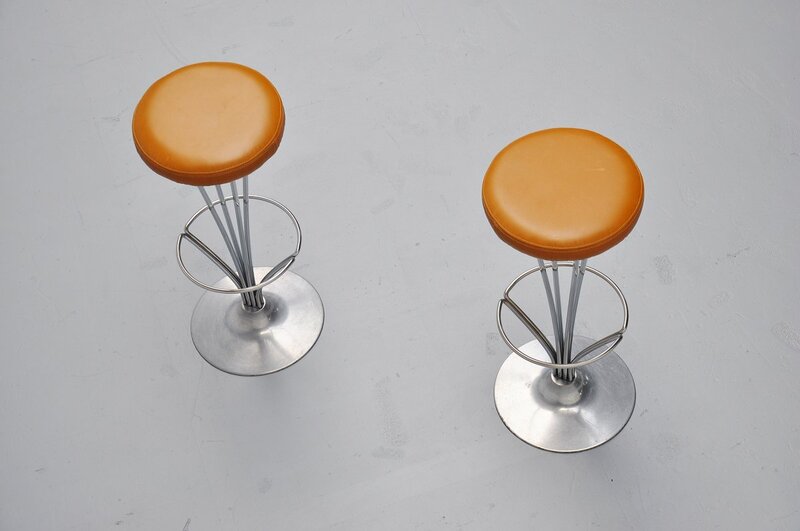 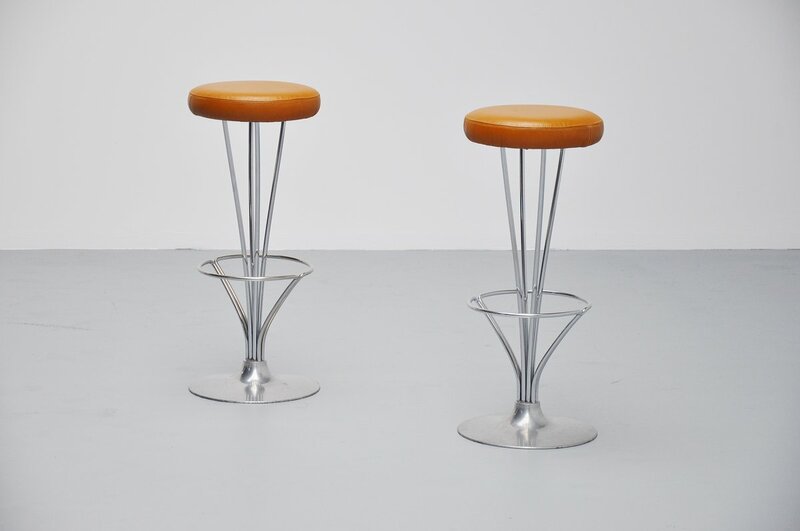 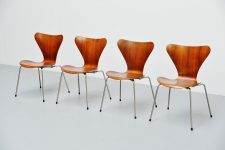 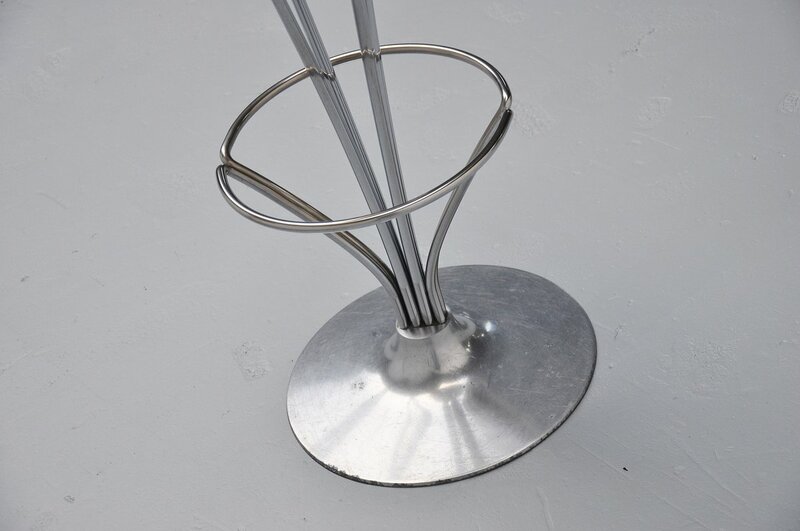 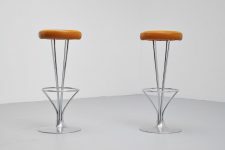 Very nice pair of bar stools designed by Piet Hein for Fritz Hansen, Denmark 1962. 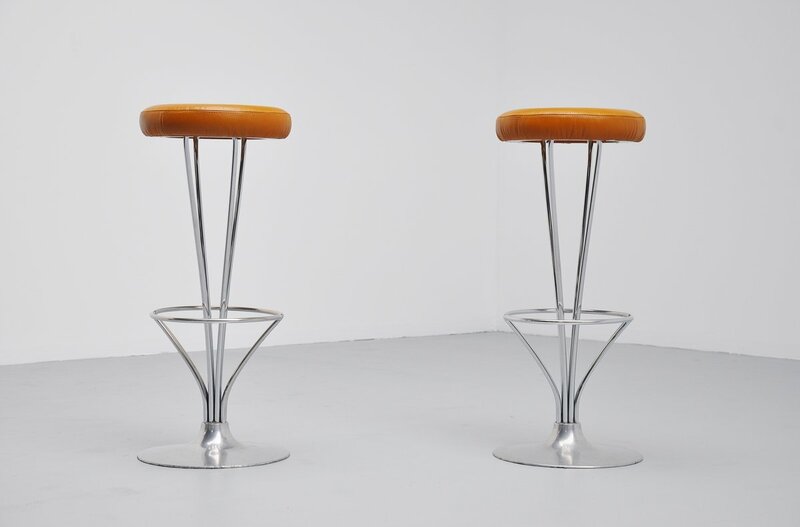 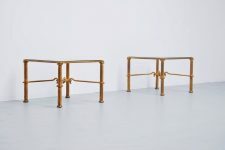 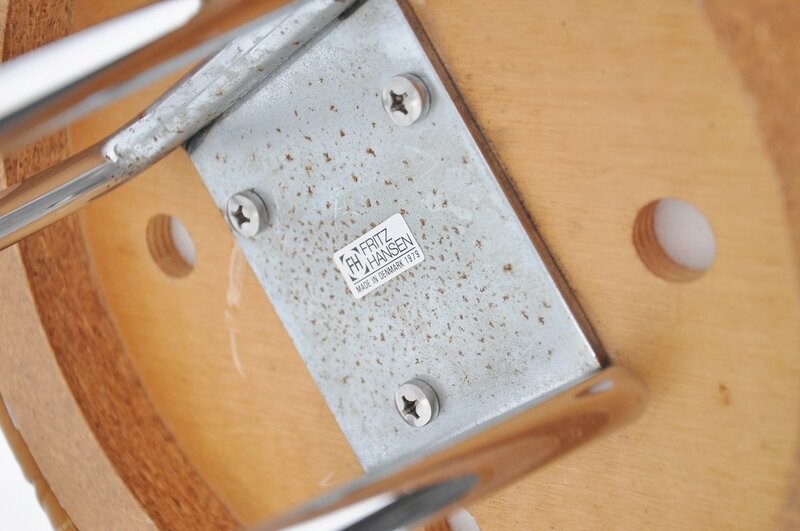 These specific stools were produced in 1979, marked with foil labels underneath. 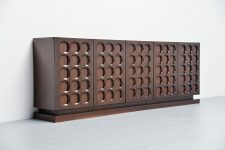 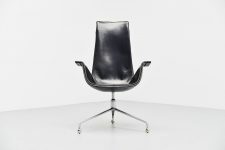 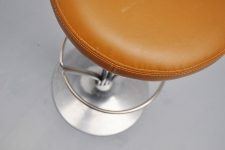 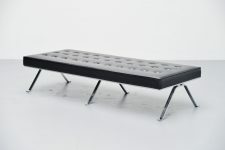 Stools have original cognac leather but with new foam. 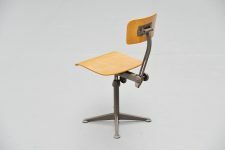 Can be used several more years easily. 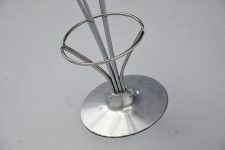 Inox tulip shaped foot has normal wear due to age and usage, can be polished upon request.